Key West is full of neat affordable attractions that will show you and your group a great time here on our island. Need more information? We are here to help! With full time local staff ready to answer all of your questions free of charge. Take the guess work out of planning your Key West activities and Attractions and not miss a thing. Booklets of tickets to all of Key West most famous attractions. Save time and money with these all inclusive booklets to really see all that Key West has to offer. See Wild Dolphins come right up to you on this fantastic trip that offers lots of information about our marine environment. Snorkeling, Sight seeing, Eco Tour Per Person Tickets. Visit the Civil War Fort Jefferson. Built on a beautiful coral reef 70 miles west of Key West. Take a Ferry or Float Plane to this incredible National Park. Snorkel the only living coral reef in America. Per person trip rates and private snorkeling charters right out of Key West and the middle lower Keys. Do it all for one low price! Ski, Sail, Ride the ban nana boat and wave runners all day long. Lunch included. Best Deal in Key West. Bog boat lots of room. Danger Charters of Key West offers a great sailing trip to the Key West Backcountry. There you will snorkel and kayak while sight seeing the marine life. Long day of fising key west, or watersports or if you just came to Key West to drink at the bar and enjoy the tropics to forget about life for a while. Remember, it's always 5 oclock somewhere. S.C.U.B.A Diving Lessons and diving trips departing from Key West and the Lower Florida Keys. Wreck and Reef diving of the Florida Keys. Come to Key West to play Golf... This Rees Jones Course will keep you coming back. A tropical setting on a 18 Hole Par 3. Sail the sunset to sleep on any one of our great Sunset Sailing Trips. Some are booze cruises others are romantic sailing. A party Persons dream the Pub Crawl offers all the bars and a drink from each with complimentary t-shirt for one low price and lots of fun. Did yo know Key West is Haunted. Go on the Key West Ghost Tour and find out more about it. This fun tour takes off every night. Deep Sea, Flats Fishing, Backcountry Fishing Shark fishing, Wreck and reef, Party boat and tarpon fishing our Fishing guides are the best in Key West. Snorkelingl the the coral reefs of Key West, Do some fishing for dinner, Sight see the Key West Backcountry, and see Wild Dolphins. All in one trip! Key West Art Galleries are well known throughout the world. Local artists and world famous artists are the focus here in Key West. The Key West museums are famous for their eclectic nature. Come see some of the island history and way of life through these museums that are time portals of the way things were. Be sure to give us a call. We are here to help you with fast friendly service. Our staff is local long time Key West residents with a passion to help visitors get the most out of our paradise island destination. We are the American Caribbean. You have seen our Key West activities now its time to check out the Key West excursions and tours or our many Key West Attractions. 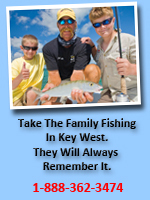 We specialize in Key West Group Planning helping you put your group trip together. From hotel rooms and resorts to banquet facilities and group activities. We have helped groups of all levels from wedding parties of 15 to corporate events up to 200 persons. Just call our office and let us help you look like a hero. Our service is free..